Eating a leaf off a plant may not kill it, but that doesn’t mean the plant likes it. The newest study to examine the intelligence (or at least behavior) of plants finds that plants can tell when they’re being eaten — and send out defenses to stop it from happening. I have several patches of celery I use as a flavoring for my dishes. This plant does not do well with freezes. I surround the plants with warm leaves and a frost cover. 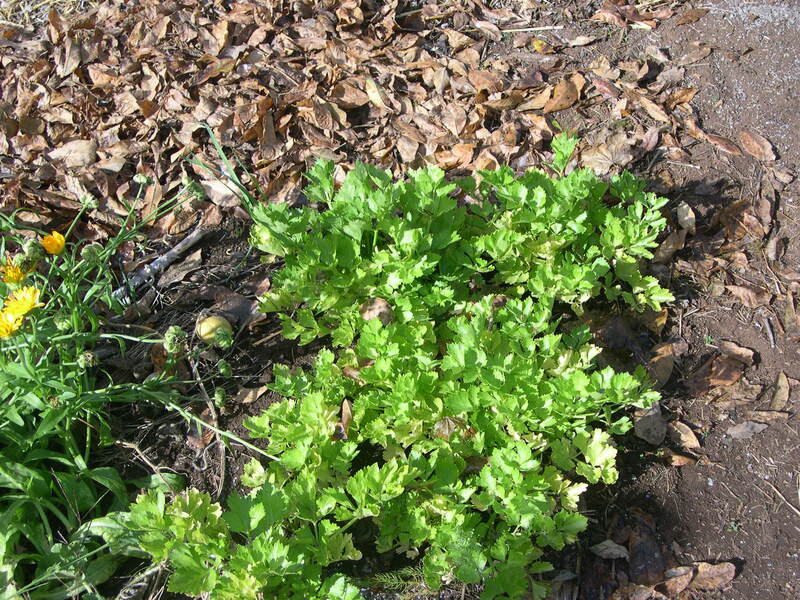 I will get celery all winter long and seeds in the summer! Poor Vegans and Veggie people. No matter what you do you are going to hurt someone! Don’t hurt anyone in your own mind, that is where everything begins and ends…just watch as something comes up in your mind. Where does it come from and where does it go? Can’t avoid killing out of greed in this world, that is how we all move, unless you are a saint. Are you a saint? How many people’s feelings, happiness, dreams, and hopes have you killed lately telling people what they should and should not eat? Mahatma Gandhi Was Not A Saint! Gandhi is often called “the father of nonviolence.” Well, he did raise nonviolent action to a level never before achieved. Still, it wasn’t at all his invention. Gene Sharp of Harvard University, in his book Gandhi as a Political Strategist, shows that Gandhi and his Indian colleagues in South Africa were well aware of other nonviolent struggles before they adopted such methods themselves. That was in 1906. In the couple of years before that, they’d been impressed by mass nonviolent actions in India, China, Russia, and among blacks in South Africa itself. Curiously, some of the best earlier examples come from right here in the United States, in the years leading up to the American Revolution. To oppose British rule, the colonists used many tactics amazingly like Gandhi’s—and according to Sharp, they used these techniques with more skill and sophistication than anyone else before the time of Gandhi. For instance, to resist the British Stamp Act, the colonists widely refused to pay for the official stamp required to appear on publications and legal documents—a case of civil disobedience and tax refusal, both used later by Gandhi. Boycotts of British imports were organized to protest the Stamp Act, the Townshend Acts, and the so-called Intolerable Acts. The campaign against the latter was organized by the First Continental Congress, which was really a nonviolent action organization. Almost two centuries later, a boycott of British imports played a pivotal role in Gandhi’s own struggle against colonial rule. The colonists used another strategy later adopted by Gandhi—setting up parallel institutions to take over functions of government—and had far greater success with it than Gandhi ever did. In fact, according to Sharp, colonial organizations had largely taken over control from the British in most of the colonies before a shot was fired. Mass school shootings, gunmen out of control shooting into crowds are a symptom of decadent leaders. We are suffering from corrupt leadership a government that is sick with the cancer of greed and power. Let us take the guns and the power to rule our lives away from the real mass murders, our governments. Would you willingly turn your ability to protect yourself over to a mass murderer? If so you must suffer from Stockholm Syndrome and Betrayal Trauma Bonding. We all feel like we don’t fit in or are different in some special way during certain periods of our lives. It’s part of growing up. But for some of us we just stay different. Structural brain differences in relation to expertise have been demonstrated in a number of domains including visual perception, spatial navigation, complex motor skills and musical ability. However no studies have assessed the structural differences associated with representational skills in visual art. As training artists are inclined to be a heterogeneous group in terms of their subject matter and chosen media, it was of interest to investigate whether there would be any consistent changes in neural structure in response to increasing representational drawing skill. In the current study a cohort of 44 graduate and post-graduate art students and non-art students completed drawing tasks. Scores on these tasks were then correlated with the regional grey and white matter volume in the cortical and subcortical structures. An increase in grey matter density in the left anterior cerebellum and the right medial frontal gyrus was observed in relation to observational drawing ability, whereas artistic training (art students vs. non-art students) was correlated with increased grey matter density in the right precuneus. This suggests that observational drawing ability relates to changes in structures pertaining to fine motor control and procedural memory, and that artistic training in addition is associated with enhancement of structures pertaining to visual imagery. The findings corroborate the findings of small-scale fMRI studies and provide insights into the properties of the developing artistic brain. I have struggled with betrayal by politicised, profit driven, government and big corporate grant chasing modern science, mental and physical health institutions for several years. After suffering ill-health and finding only treatments for my symptoms and profits made from my illness I really started questioning what it means to be healthy. First I had to figure out how i got in this mess and how I am going to get out of it. I found my way out through clean organic food, opting out of the industrial mindset, reestablishing solid morals and ethics and building healthy relationships with myself, family, and community. 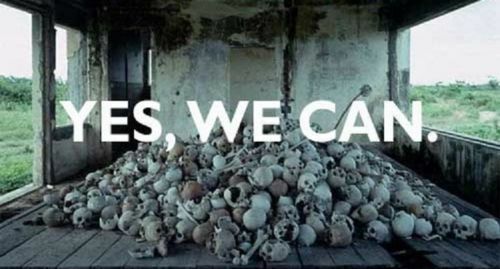 You can’t build a healthy relationship with psychopathic governments, institutions, and people. I stopped trying to adapt and believing in the medicine, institutions, education, governments that says it can help me love my slavery. Most of our problems would be solved if we would limit the acid causing foods in our diet, avoid fluoride in our water, and eat organic. My pancreas and gallbladder no longer cause me any pain. My thyroid is back online, my skin looks great. Even better, more energy, clearer thinking and I am happy, a subtle happy from having a happy body, which helps the mind find stability. Side-effect you will lose weight. Fluoride also kills your thyroid when it is empty of iodine. Also fluoride is used as a pesticide and can’t be washed off of our produce. Fluoride is included in most toothpaste products. It’s in baby formulas, juice, water products too. This highly toxic element is in so many things we use today how can we control dosage? You know Hitler and Stalin used fluoride to control their industrial worker slaves? Look it up. This is not naturally occurring fluoride which we need in very small amounts. This fluoride is toxic waste that is used in rat bait. Are we rats? This is important because as many as a quarter of women being treated for breast cancer suffer from depression — a condition most commonly treated with antidepressants known as SSRIs (selective serotonin reuptake inhibitors), including Paxil, which has been on the market since 1992. Almost a quarter of American women in their 40s and 50s are taking an antidepressant, mostly SSRIs. Last summer, the Food and Drug Administration approved the marketing of a low dose of paroxetine — repackaged under the commercial name Brisdelle — as a nonhormonal treatment for hot flashes and other menopausal symptoms. Prozac is a fluorinated drug called “fluoxetine“. Paxil is a fluorinated drug called “paroxetine” (also called Seroxat, Aropax). These drugs are designed to inhibit the reuptake of serotonin (serotonin reuptake inhibitors – SSRIs) and hence interfere with the biological actions of serotonin, a neurotransmitter. Both drugs contain fluorine and chloride. Fluoride is present as a ‘4-fluorophenyl’ compound, part of the ‘active’ ingredient. For related articles and more information, please visit OCA’s Genetic Engineering page, and our Millions Against Monsanto page. We are witnessing a strange, though remarkably predictable public discourse, where State lawmakers claim that those “truly serious about supporting local farmers” must abolish Counties’ rights “forever,” and transnational corporations call themselves “farmers.” Legislators attempt to contort the “Right to Farm” into a mechanism for chemical companies to evade health and environmental concerns, as water grabs by these same companies undermine the actual rights of farmers. Meanwhile, the Hawaii Farm Bureau advocates the interests of a few mega-corporations as synonymous with the interests of local farmers (despite never having asked the farmer members that they professedly speak for). The intentional blurring in the difference between farmers, and the global corporations that use Hawaii as a testing ground for their new technologies, demands some clarity. An organic farmer in Australia is suing his neighbour – who grows genetically modified crops – for “contaminating” his property in a landmark case that could affect farmers around the world. Steve Marsh, who owns an organic oat and sheep farm, is suing his neighbour and former childhood friend, Michael Baxter, whose genetically modified canola allegedly blew about a mile over the fence into Mr Marsh’s farm and affected 70 per cent of his crops. Mr Marsh’s farm was certified organic in 2010 by the national sustainable farming association, which has zero tolerance for genetically modified material and later withdrew the certification. Commencing a three-week trial in the Western Australia Supreme Court, Mr Marsh argued that his neighbour should have taken greater care to prevent the canola seeds escaping. “[Mr Baxter] failed to contain the genetically modified seeds, and they escaped on the wind onto the Marsh property — thousands of seeds were deposited on Eagle Rest,” Mr Marsh’s barrister, Richard Niall, told the court. I had a best friend I lost to the Antipsychotic drugs that killed her mind through destroying her bodies systems. UNTIL shockingly recently, the mentally ill were routinely locked away and given a “chemical cosh” to keep them quiet. We no longer leave people to rot in asylums, but many are still drugged up to the eyeballs. To be discharged from hospital, people with schizophrenia often have to agree to take antipsychotic drugs for the rest of their lives. We now know these may do little to aid recovery while trapping people in a mental miasma that ruins their chances of living a normal life (see “Rethinking schizophrenia: Taming demons without drugs “). The drugs can also lead to diabetes and heart disease. Adding to the cruelty, people with serious mental health problems are often denied adequate healthcare for physical illnesses because their symptoms are assumed to be delusional. Such injustices have led the World Health Organization to declare the treatment of such people a “hidden human rights emergency“. This is in most commercial breads besides a host of really bad chemicals that do a number on one’s body and mind. Azodicarbonamide used in its bread “as a bleaching agent” is also used to make yoga mats and shoe rubber. The petition noted that Subway doesn’t use the ingredient in its breads in Europe, Australia or other parts of the world. How to avoid toxins? Simple eat organic and cook your own food. I am sure the Royals and families that have been breeding too close to the line can breathe a sigh of relief.